Desi Radio UK Live Online . Listen over 100 Hindi FM Radio Stations Online . It tries to raise awareness of the Panjabi culture and build a cohesive identity for the Panjabi community. It Promotes diversity and multiculturalism and build links between the Panjabi community and other cultures . Live broadcast starts at 07:00 until 00:00 seven days per week . The Panjabi Centre is a registered charity, founded in 1997. Located in Southall, West London, it works to promote Panjabi culture, language and history. It Organises cultural activities, events and celebrating annual festivals . 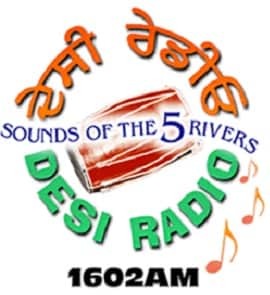 Desi Radio contributes to local development by giving a voice to the Panjabi community, promoting community consultation, providing opportunities to question local politicians and decision makers, carrying local news, information and enterprise advice. Address : The Panjabi Centre , 30, Sussex Road,Southall,Middlesex,UB2 5EG .